Animal shelters, or what used to be known as pounds, are either governmental or private organizations that provide temporary homes for stray, surrendered, or abandoned pet animals. They most often house dogs and cats. The animal is kept at the shelter until it is reclaimed by the owner, adopted to a new owner, placed with another organization, or euthanized. Unfortunately, resources are seldom adequate to support the large number of animals taken in by these organizations. As a result, animals that are not claimed by their owners, or that have temperament or health issues that cannot be corrected or treated within the resources of the organization, are often euthanized. Shelters that receive a disproportionate number of animals compared to available adopters may also euthanize animals because of space concerns. A small number of shelters have chosen to be "no-kill" shelters, which support healthy and adoptable pets for the remainder of their lives or until they are adopted. However, as funding is limited, the number of animals that can be accepted by these organizations can be low, and some animals may not be accepted because of behavior or health concerns. "No-kill" shelters often do euthanize if they receive animals with these problems. There are no clear standards for assessing these issues, and so statistics cited about how many "adoptable" animals are euthanized or adopted can be meaningless. Some people obtain their pets from pet stores. Millions of these pets are taken to shelters or abandoned when they get sick or are no longer wanted. Animal Welfare groups and volunteers are attempting to change that point of view by educating owners and potential owners about the lifelong commitment involved in adopting an animal, how to be a responsible pet owner, about the large number of adoptable animals available at shelters, and about the often poor condition of pet shop pets. Animal control agencies, or nonprofit organizations contracting for animal control duties, also enforce animal-related ordinances. Some animal shelters also provide low-cost spay/neuter surgeries or veterinary care, behavior training or resources, "safe havens" for animals of abused spouses, or other services. By contrast animal sanctuaries will look after animals for the rest of their natural life, without necessarily attempting to find them any other home. Some establishments combine the qualities of an animal shelter with those of a sanctuary. An animal shelter can be started by anyone who has the commitment, time and desire to help homeless animals. 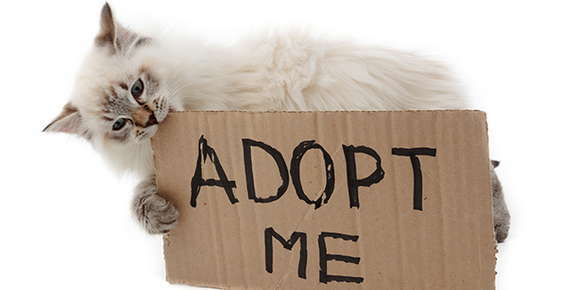 There are many resources available to assist in establishing an animal shelter, sanctuary or animal foster home. If an organization chooses to qualify for 501(c)(3) non-profit status, there are certain criteria outlined by the Internal Revenue Service (United States) which must be met. Additionally, running a non-profit animal shelter requires good business practices and skills. The best method of determining if one has the capability to run an animal shelter is to volunteer their time at a local Humane Society or shelter facility.